automobiles parked at the hotel suggest it dates from the 1920s. out its last guest, but Huntingtonians still talk about it today. 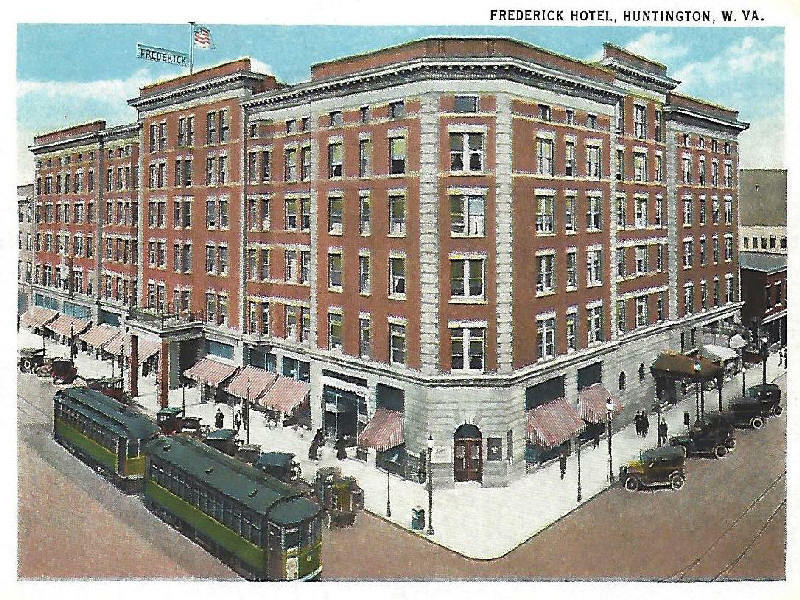 hailed it as "the greatest building project ever begun in Huntington." out $100,000 worth of furnishings. about 50 miles down the Ohio River in Portsmouth, Ohio. 4th Avenue and 10th Street. no evidence of such a tunnel has ever been found. place, housing apartments, offices, restaurants and retail stores. Note: This Article and picture appeared in the Herald-Dispatch Newspaper on Sep. 24, 2018.